The New Mexico State Aggies had a stellar weekend, going 3-0 with an impressive win against the Arizona Wildcats. 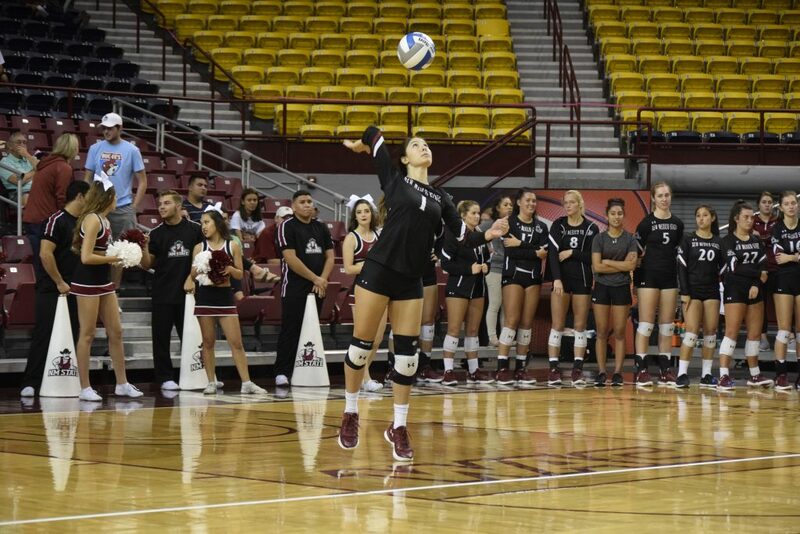 The Aggies started off the weekend tournament against the Montana Grizzlies. 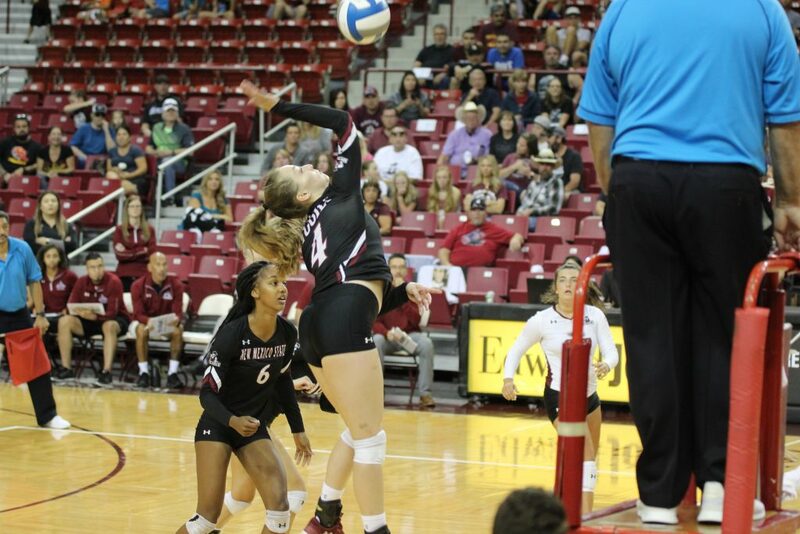 New Mexico State and Montana fought fiercely through the entirety of their match, exchanging wins on every set. 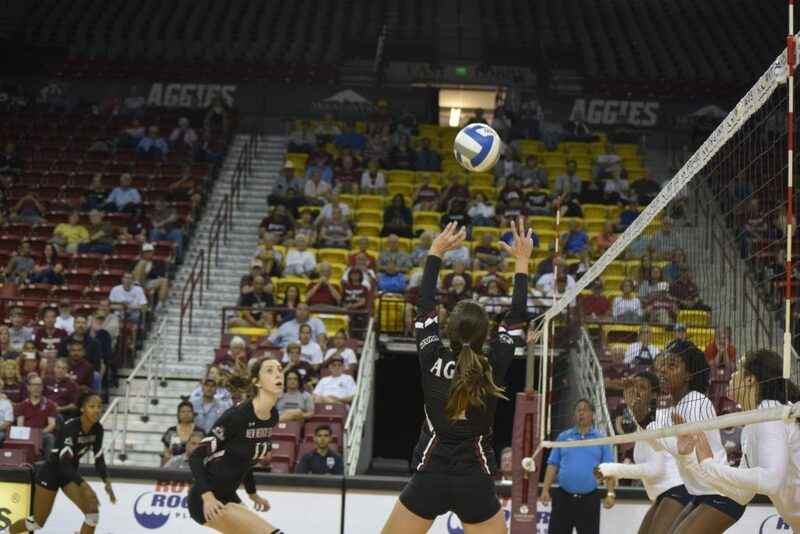 NMSU was able to finish strong and win the tight match 3-2, pushing the Aggies’ win streak to four. For the Aggies to continue their win streak, they would have to overcome the Arizona Wildcats. 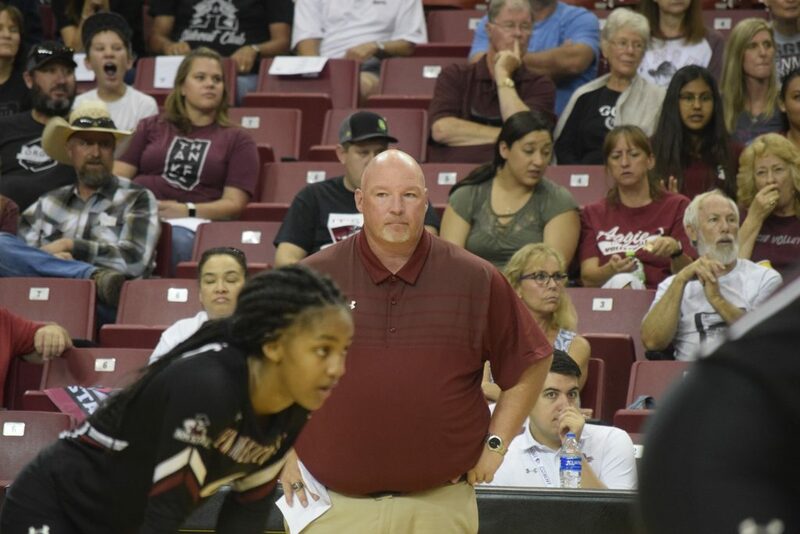 NMSU defeated Arizona in the first set with a score of 25-16, however, the Aggies had a rough start in the second set, losing to the Wildcats 25-17. 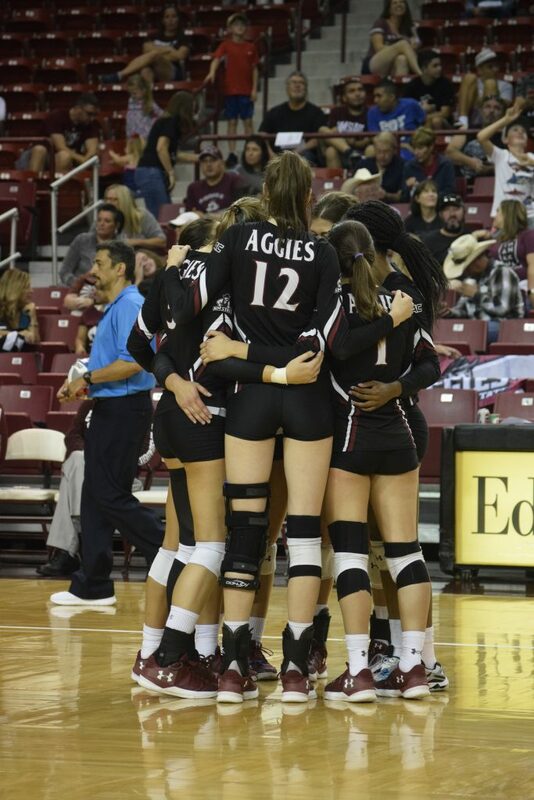 The struggles for the Aggies continued into the third set, finishing with a loss, 25-23. 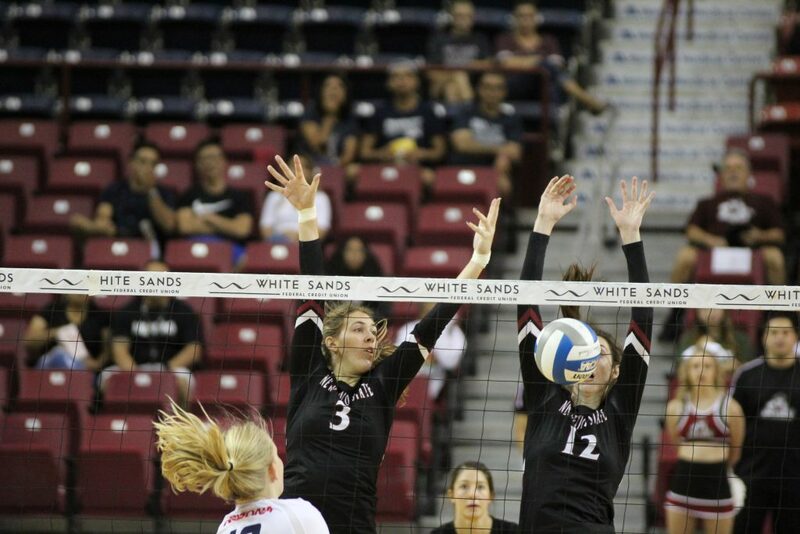 The Aggies finished off the match with wins of 27-25 and 15-12 to hand Arizona its first loss of the season. 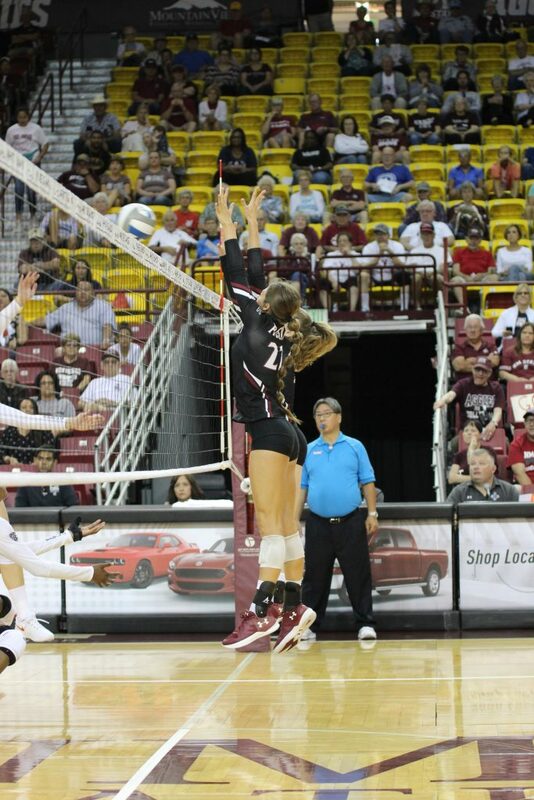 The win marked New Mexico State’s first victory over Arizona since volleyball became an NCAA-sanctioned sport in 1981. This was also the team’s first win against a Power Five conference school since beating North Carolina in 2008, and the Aggies first home win against a Power Five school since they beat Texas Tech in 2003. After the past three consecutive wins at home, the Aggies improve their home winning streak to 16 matches. 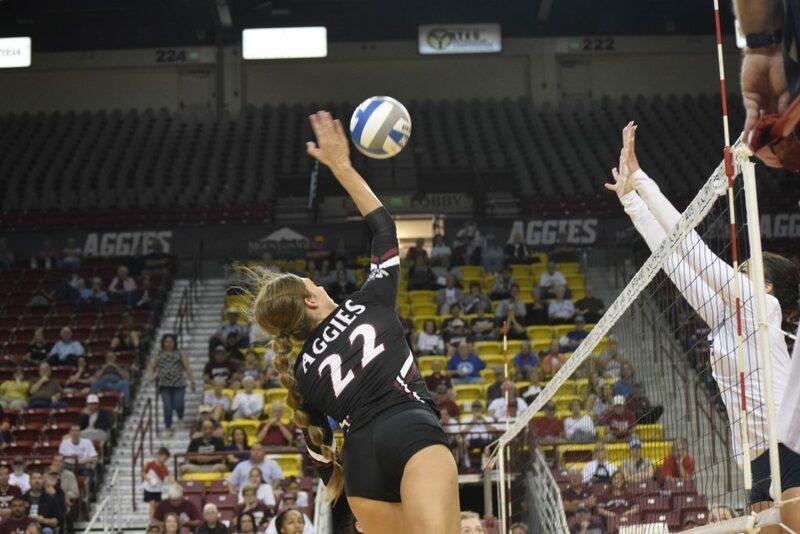 New Mexico State finished off the weekend with a dominant performance against UTEP, beating the Miners in straight sets. 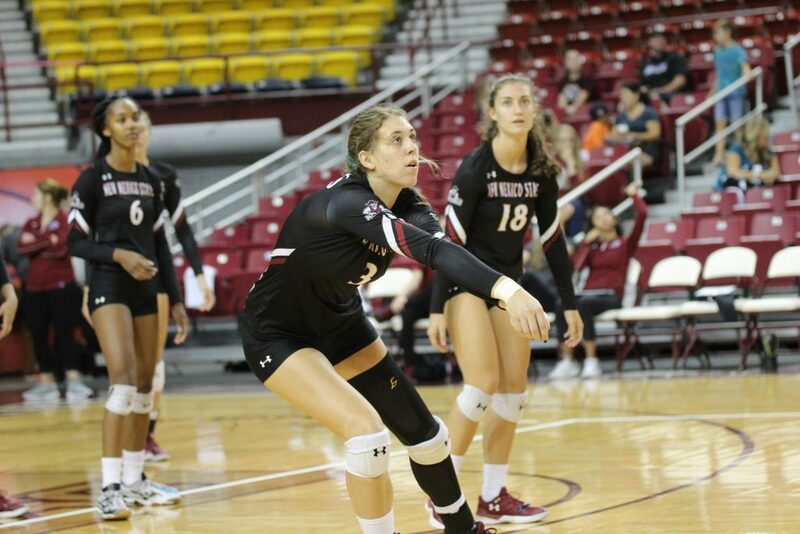 After a huge win at home against Arizona, the Aggies wanted to start strong against UTEP. They won the first set in convincing fashion 25-11 and never looked back. The Aggies went on to win the next couple of sets by scores of 25-22 and 25-20. The Aggies had a really good weekend going 3-0, with a win against an Arizona team that is receiving top 25 votes in the coaches’ poll. 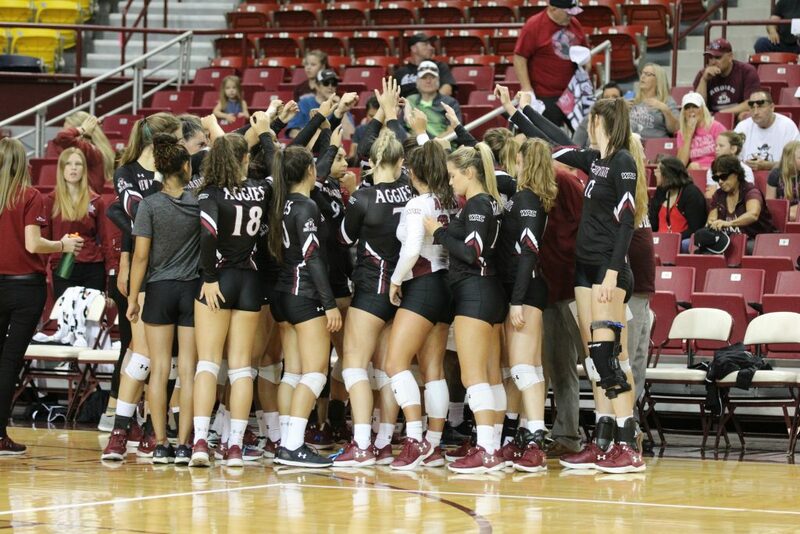 The New Mexico State volleyball team improved to 8-2 on the season and will next be heading to Tucson, Arizona, for the Wildcat Classic. They open up the tournament on Friday against UC Davis.